A University of Houston pharmaceutical scientist is looking to develop a new drug which could bring relief to children suffering with Familial Adenomatous Polyposis (FAP), a rare genetic disorder characterized by hundreds – if not thousands – of colorectal polyps. This hereditary cancer predisposition syndrome occurs in 3/100,000 live births and, if left untreated, causes colorectal cancer in patients nearly 100% of the time. Prior medication for the disease failed because it increased the risk of heart attacks and death. Children with FAP have to undergo routine colonoscopy and surgery (removal of polyps and intestinal segments) until the whole colon is eventually removed via colectomy. Untreated, the disease causes growth of an out-of-control number of polyps that will progress to malignancy. For those who are undiagnosed by age 20, Ming says their life can end by the age of 35, because the polyps will become numerous and malignant, leading to severe hemorrhage and deadly metastatic cancer. 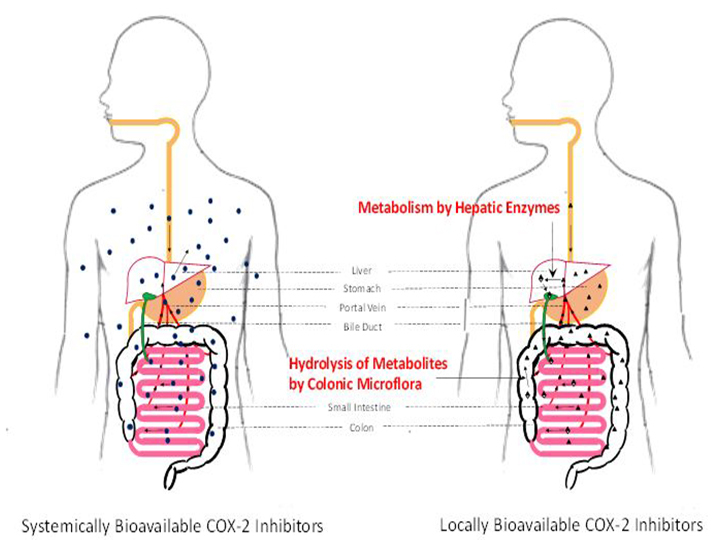 Hu and his team are looking to develop a more effective treatment through a locally bioavailable COX-2 inhibitor, meaning one that will remain inside the gut area. The new drug is designed to cycle through the colon without escaping to the circulatory system and reaching non-targeted organs. The drug inhibits the production of the molecule called PGE2, which magnifies pain and promotes tumor growth in the colon. Hu says the drug may also be effective for preventing recurrence after the polyps are removed, which could lead to fewer incidents of colon cancer in high-risk populations. “Nobody has designed a drug like this, which recycles and limits exposure to the target organ,” said Hu.